Users want access to apps & devices. IT wants to keep corporate data safe. Now you can have it all with EM+S. Why Agile IT for Enterprise Mobility + Security? Agile IT is a proven expert in deploying all Microsoft mobility solutions, Azure and Intune. Agile IT was named Microsoft Cloud Partner of the Year in 2012, 2013, 2014, and 2015 and is one of the top 100 cloud computing solution providers in the world. 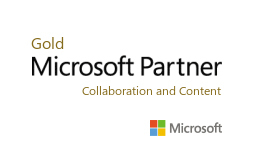 We are a Tier One member of the prestigious Microsoft SMB Champions Club, and are one of only ten companies in the world with 15+ Gold and three Silver Microsoft Competencies – including a Gold competency in Cloud Platform and Identity & Access. We have been a trusted advisor for our customers since 2006. Trusted Office 365 consultant since 2006.